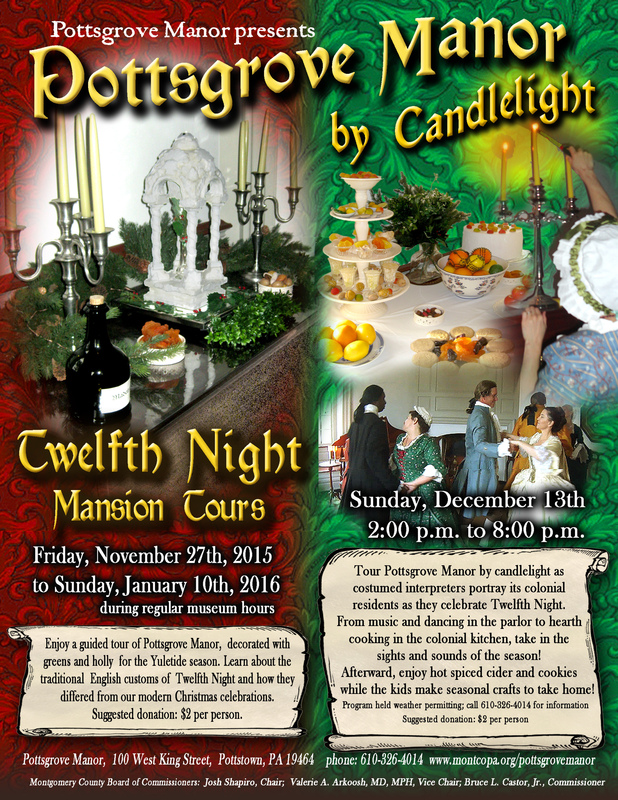 Pottstown, PA – Revel in the spirit of the season at historic Pottsgrove Manor with the annual “Pottsgrove Manor by Candlelight” open-house on Sunday, December 11, 2016 from 2:00 pm to 8:00 pm, and enjoy the beauty of the manor lit by candlelight and bedecked with greenery. 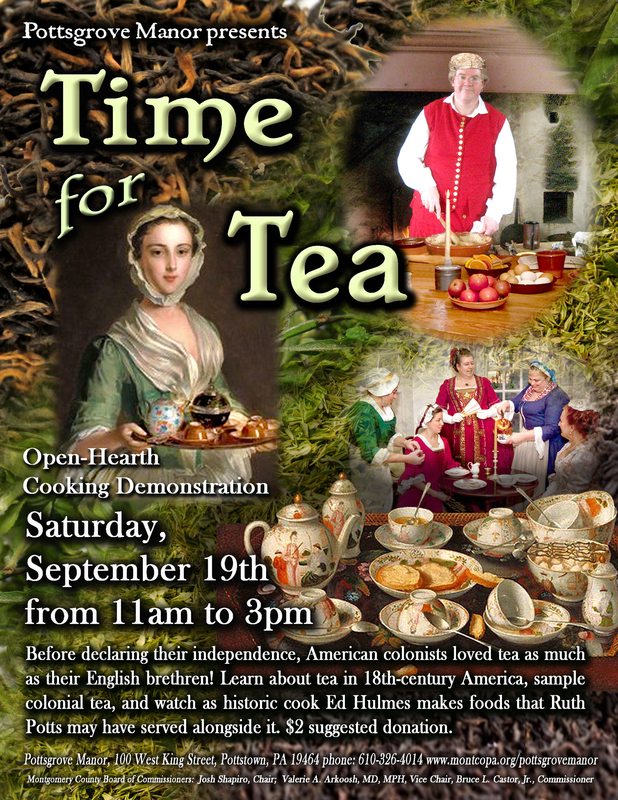 The public is invited to take a self-guided tour of the stately 1752 manor house, where costumed interpreters portray the colonial residents of Pottsgrove Manor. A walking tour guides visitors through the household of John Potts, his wife Ruth and their 13 children. In the formal parlor, an animated gathering is underway as 18th century “guests” socialize and enjoy the latest dances to the lively music of a harpsichord, flute and harp. The dining room displays an elegant dessert table filled with cakes and pastries, and a “glass pyramid” loaded with delectable seasonal treats – nuts, candied fruits, and colorful marzipan. Cooks and servants bustle about the kitchen, busy concocting authentic dishes and cooking in its 8 foot wide fireplace, but not too busy to answer a passing question about methods or ingredients. Following passageways through the 17 room mansion, visitors continue to the 2nd and 3rd floors, to view the intimate chambers of a well-to-do colonial family, and learn about preparing for the holiday season. After exploring the house, complimentary refreshments are available at the end of the tour, and young visitors will be able to create make-and-take free seasonal crafts as a souvenir of their visit. 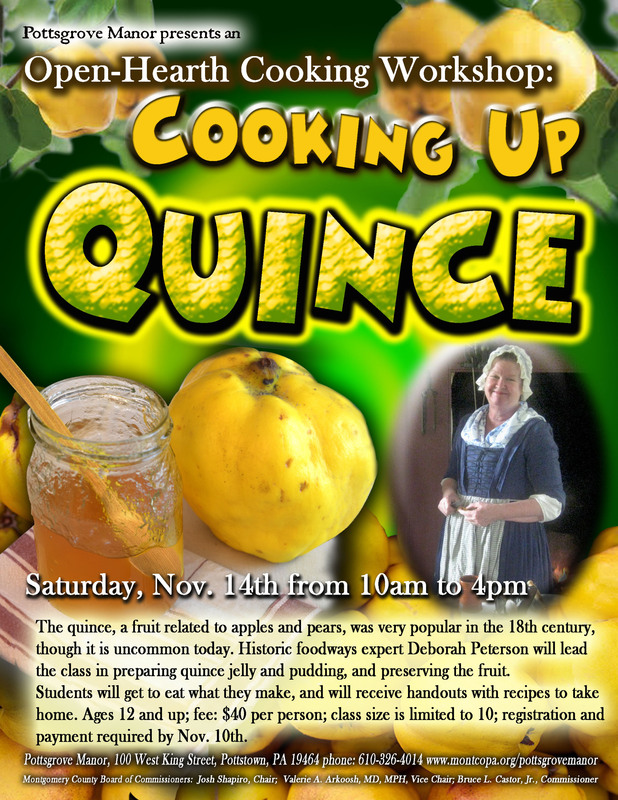 Guests will also want to visit Pottsgrove Manor’s museum shop for unique, historically-oriented gifts like locally-made redware pottery and ornaments, reproduction glassware, handcrafted candles and soaps, books, toys, games, and more. Outside, in the manor’s courtyard, visitors will be able to enjoy historic carols sung by the Colonial Revelers singing group (performing from 2:00 pm to 5:00 pm). This is a free event! A donation of $2.00 per person is suggested. The tour will be held weather permitting. No reservations are needed. 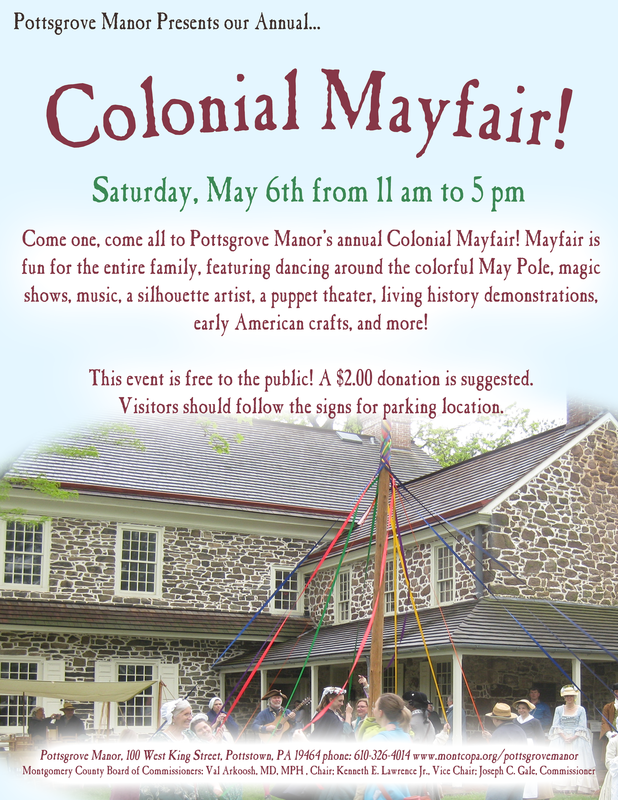 Visitors are asked to park at the Carousel at Pottstown (30 West King Street) or at Memorial Park (75 West King Street); a shuttle will transport visitors to and from Pottsgrove Manor throughout the event. Handicapped parking is available in the museum’s parking lot. The manor’s open house will also be featured as a stop on the Pottstown Historical House Tour that evening. 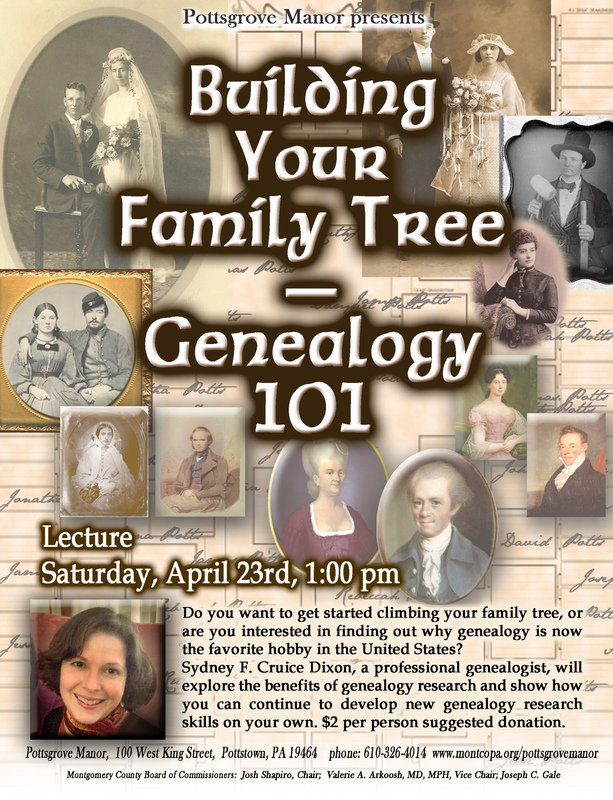 Can’t make it to the open house? 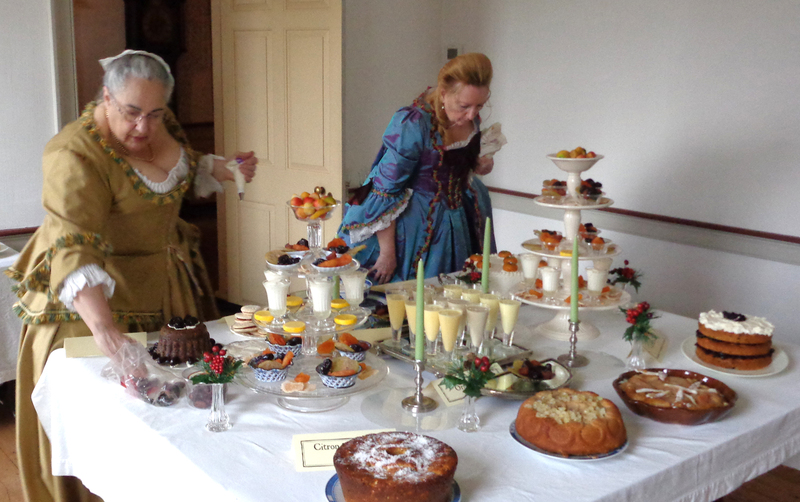 Visitors can enjoy the spirit of the season at Pottsgrove Manor now through January 8, 2017 with a guided tour of the mansion, decorated for the holidays. Tours are offered during regular museum hours, and the museum shop will also be open for holiday shopping. Regular museum hours are Tuesday to Saturday from 10:00 am to 4:00 pm and Sunday from 1:00 pm to 4:00 pm. Tours are given on the hour. The last tour of the day begins as 3:00 pm. Groups of 10 or more should preregister by calling 610-326-4014. The site is closed Mondays, as well as Christmas Eve, Christmas Day, New Year’s Eve, and New Year’s Day. 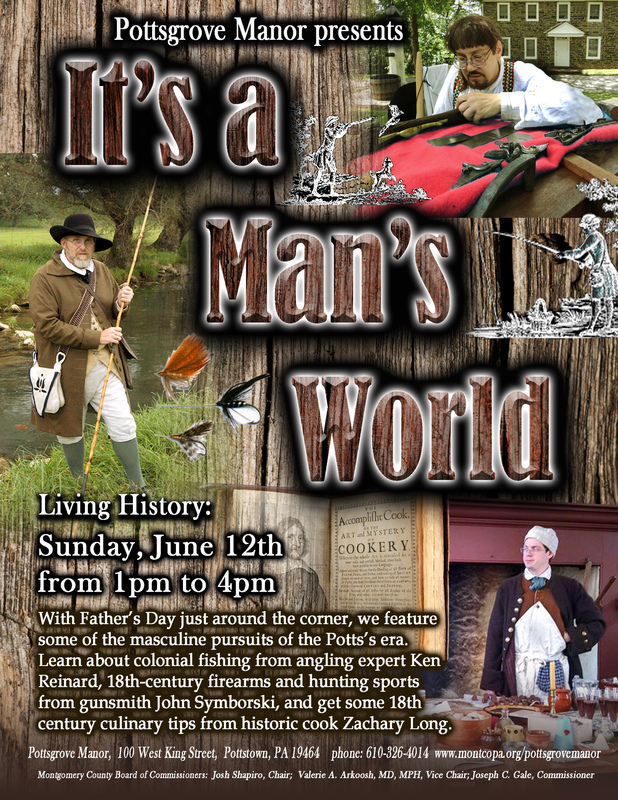 Pottstown, PA – Come spend a casual summer Sunday afternoon at historic Pottsgrove Manor and enjoy the 18th century surroundings as volunteers demonstrate colonial trades and pastimes. 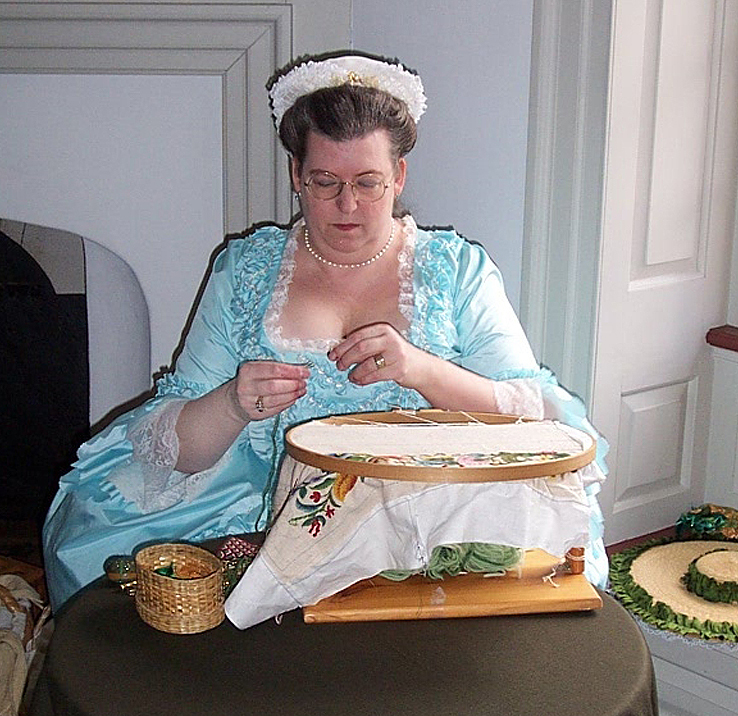 On August 2, 9, 16, 23, and 30, from 1:00 pm to 4:00 pm, Pottsgrove Manor’s living history volunteers, dressed in colonial period clothing, will be living life the 18th century way. 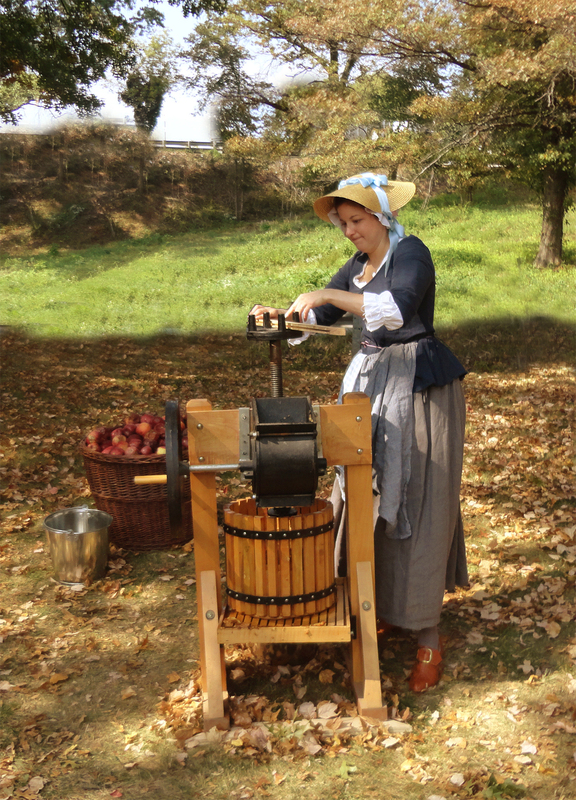 Activities may include needlework, spinning, tape weaving, gunsmithing, hornsmithing, cooking, and more. Visitors can watch, learn, and even join in! 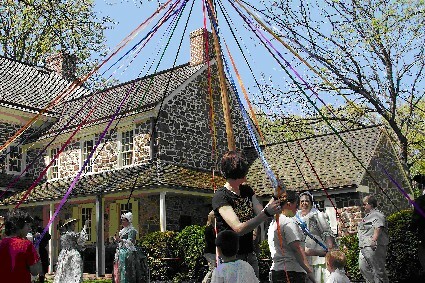 Activities will vary from week to week, so call ahead or check the site’s webpage at http://www.montcopa.org/PottsgroveManor to find out what will be offered that day. A donation of $2 per person is suggested for this program. 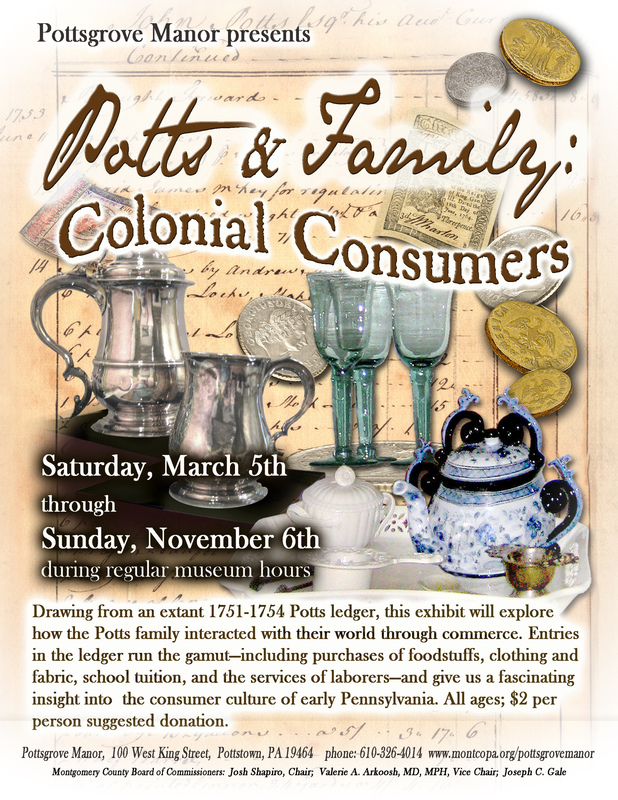 Guests can also tour the manor house, see the museum’s current exhibit, “Pride of Place: The Local Legacy of the Potts Family,” and shop in the museum store on their visit. The “Pride of Place” exhibit can also be viewed during a guided tour of Pottsgrove Manor during regular museum hours now through November 8th. Regular museum hours are Tuesday to Saturday, 10:00 a.m. to 4:00 p.m. and Sunday, 1:00 p.m. to 4:00 p.m. Tours are given on the hour. The last tour of the day begins at 3:00 p.m. The site is closed Mondays and major holidays. Groups of then or more should pre-register by calling 610-326-4014.